We are the Robinson’s, and we are Worldschoolers. 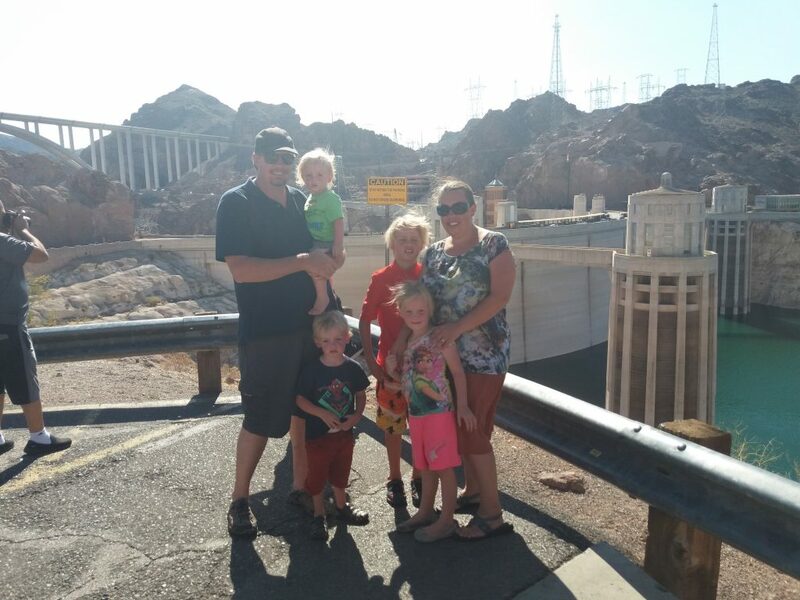 We are a family of six with four small children ages 10, 6, 4 and 3. We have been traveling on and off (but mostly on) for the past three’ish years. We have spent time in Hawaii, Italy, Spain, Turkey, Egypt, Indonesia, Malaysia, Thailand, Myanmar, Cambodia and we are currently in Vietnam. 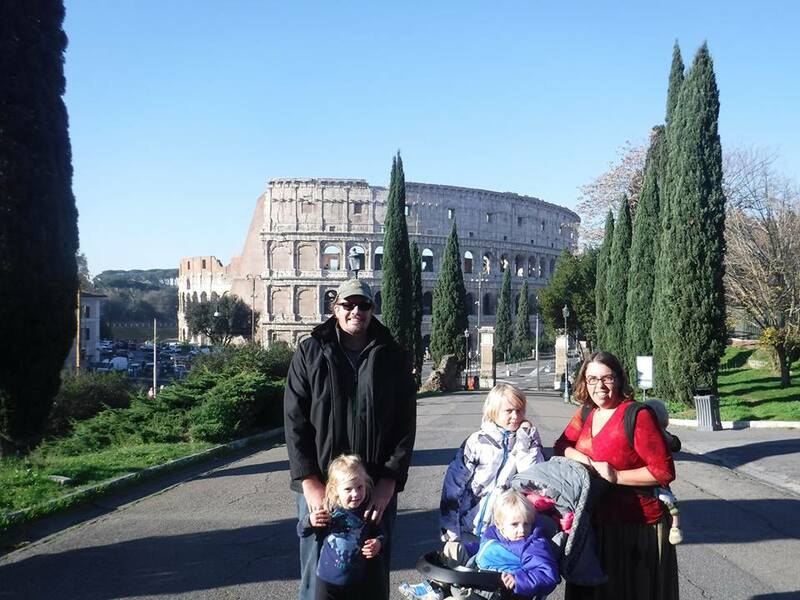 Luckily for us, our children love to travel as much as we do and we have logged approximately 50,000 flight miles since we started this journey when our youngest was 5 months old. Tamarah is an online teacher who has her masters degree in International Relations and Daniel is a nurse who starts his masters degree online to become a Family Nurse Practitioner this January and is studying to become a web developer to help support our travels. The only thing we love more than each other is Worldschooling and finding ways to help others in our travels. Worldschooling means using the world as the template for our children’s education. Worldschooling for us is the chance to show our kids the various people and cultures around the world first hand, instead of just handing them a book. We have always wanted our children to be global citizens and this lifestyle gives us a chance to show our children that no matter how different people look, act or believe everyone is the same on the inside and everyone can be a friend. We use a mixture of formal lessons and child led education. We make sure our older children are getting structured math and reading into their day, but often leave the rest of the subjects to be picked up throughout the day or week. Tamarah was a history major in college so our kids love to hear about the history of the places we have visited. Daniel is a nurse and has focused on providing a science education to all of the children. We always try to focus on the religion, history and culture of the places we visit and make sure to learn about important places and things that have occurred where we are. 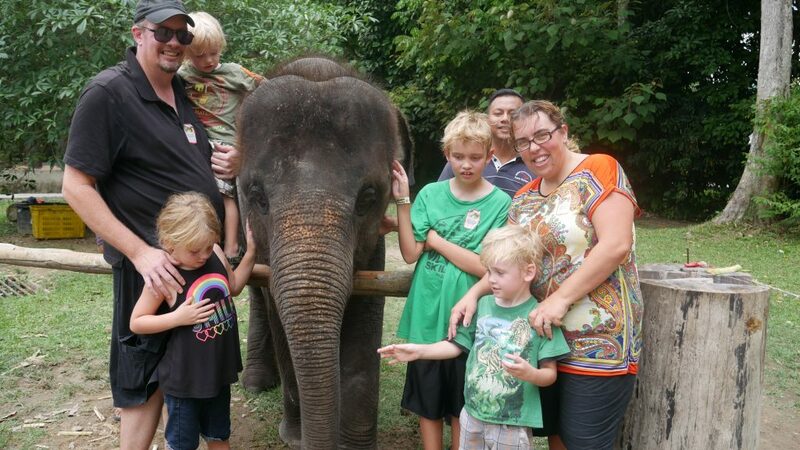 Our kids love animals and we work hard to make sure they are able to visit with animals native to the places we are in one way or another wherever we go. The “aha moment” for us has been that we love this life, so much so, that at the moment we do not have plans to return to America unless there is some emergency. 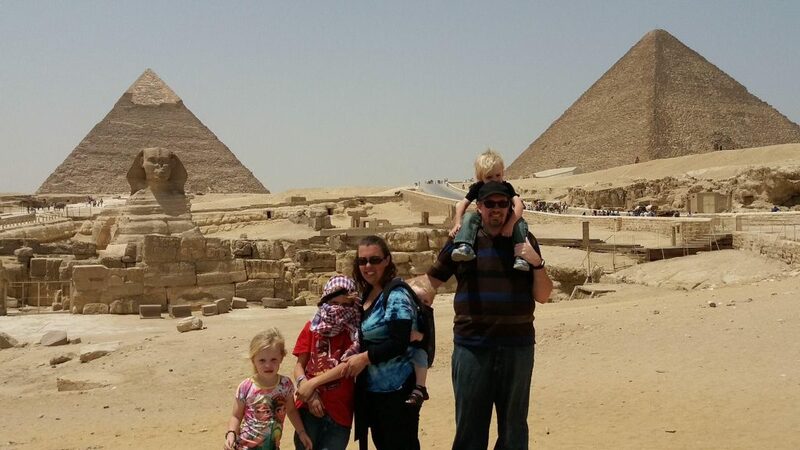 We, and even our kids, love living in different cultures and seeing amazing things and places. For us, we feel that we have found “home” on the road. Surrounded by people and places that our not our own. We have found that community plays a huge role in our Worldschooling experience. 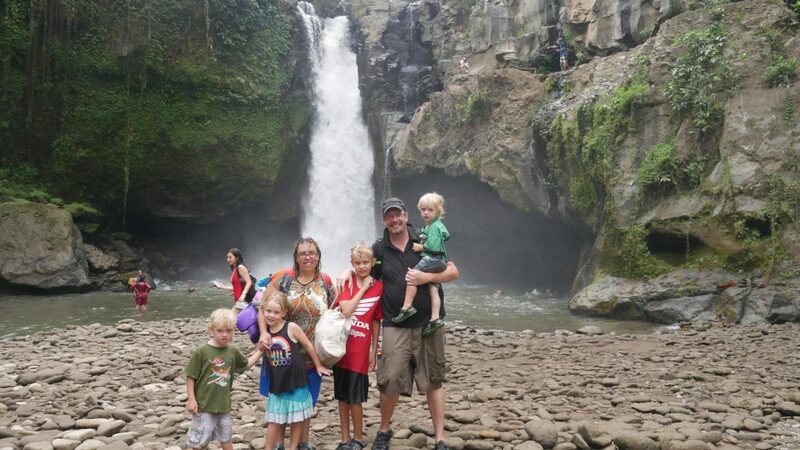 Some of our favorite moments in our travels have been meeting other families who share the same passions we do and allowing the children to see there are other kids on this journey. Having traveled so much our kids are able to make friends wherever we go and are just as excited to play with new friends they just met as they would be to play with their old friends back in the States. We have also been lucky to have many great hosts and kind people we have met in the countries we have visited who have shared so much of their culture with us. We try to make sure we connect with a church or homeschool group if we settle in one place for a while so the kids can make some good friendships. Our greatest challenge has been adjusting how we educated our children. Back in the States we would use a lot of experiments, hands on art projects and printed materials for the kids to use as supplements. While traveling we have found it very difficult to have those kinds of supplies on hand and with language barriers it is sometimes hard to explain what you are looking for. Language barriers sometimes make it difficult to dive deeper into the cultures we are in and develop the deeper relationships we would like to have more of as well. Our greatest achievement has been giving our children the chance to see people around the world as friends. My son told me his favorite part of Worldschooling is all the nice people he has met along the way, and that he has not met any mean people in all his travels. Our children will run up and hug everyone, wherever we are, because they have learned anyone can be their friend. Do the research! We have found some excellent deals on flights by using the option to search everywhere in Google Flights, Momondo and Skyscanner. Don’t be tied down to just going directly to a destination, often it is cheaper to buy tickets to a different city and then buy separate tickets onto your destination. Be flexible and allow yourself to think of other ways to get where you want to go. We aren’t the only ones ?. It was so great to meet with other families who have done the things we have, left homes, families, loved ones, all their possessions to travel this world. Who feel the same pull to discover the people and places they have never been to. What were your favorite moments? Watching our kids run around with other kids they just met and make great friends. Getting to know other people who understand the question “where are you from?” is a tricky question and one that may take a few moments to explain. Go! It was a wonderful week spent with other families and connecting. We made some great friends and learned so much from the people we met.